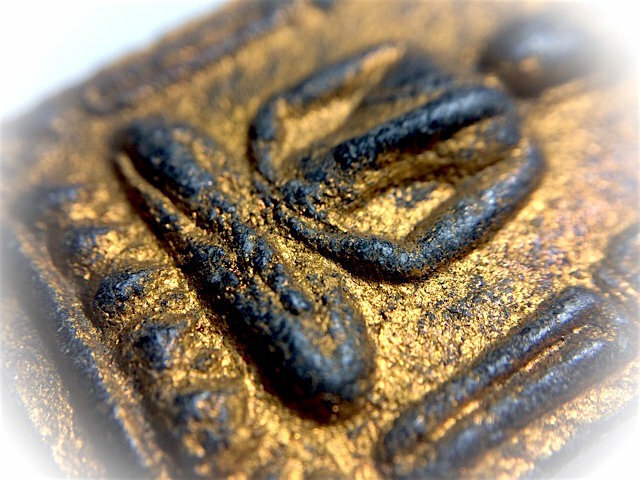 A beautiful example of the Khun Phaen 15 Block Tong Hlueang Hlang Dtok Dtaeng Pim Yai Niyom amulet, in extremely rare black Nuea Wan Plai Dam Long Sai Rae Tong Kam black powders, with Pong Prai Kumarn powders, and golden Sai Rae Tong Kam Golden Powder coating. 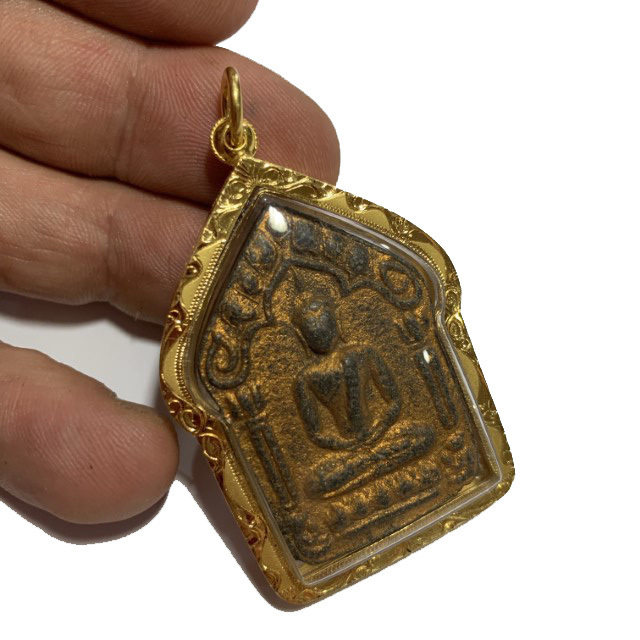 An Officially authenticated and certificated Khun Phaen Pi 15 Pim Niyom amulet, with free solid gold casing, and certificate of authenticity included. 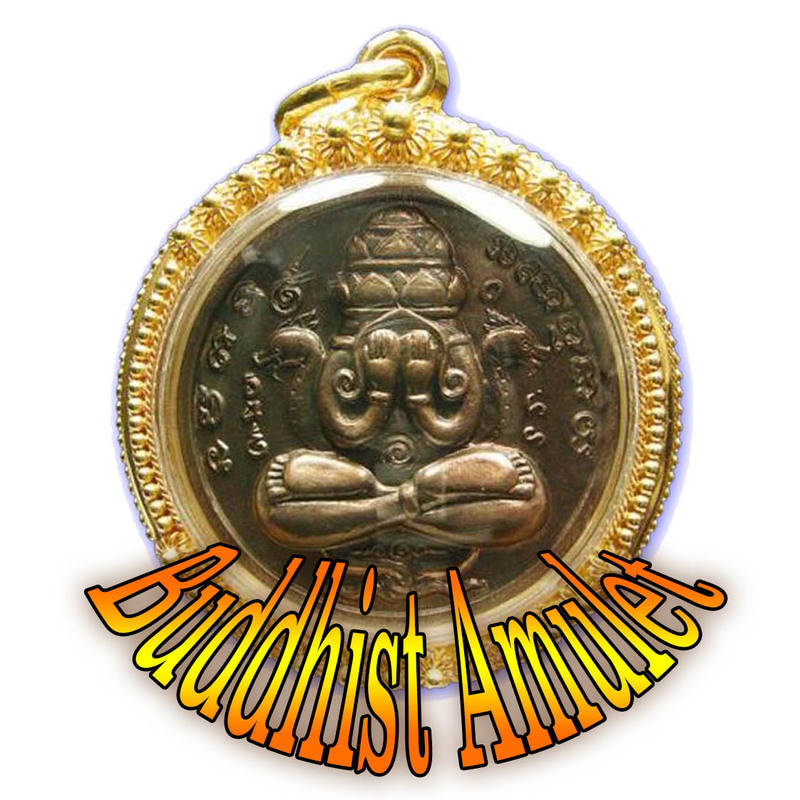 Free Registered EMS Shipping Worldwide is Included with this Amulet. 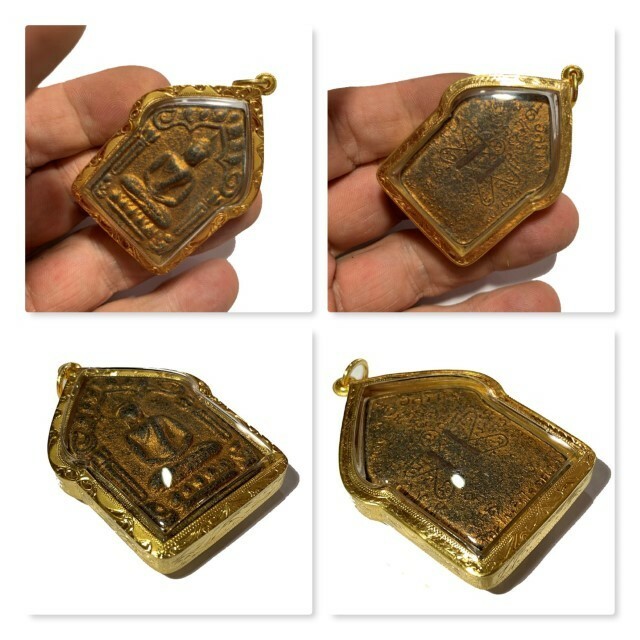 This amulet is a very well preserved exhibit of the now extremely sought after Pra Niyom Master Class Amulet, The Pra Khun Phaen Prai Kumarn Pi 15 Pim Yai Block Tong Hlueang (Block 2) Hlang Dtok Dtaeng Niyom, in rare Nuea Wan Plai Dam Pasom Pong Prai Kumarn. 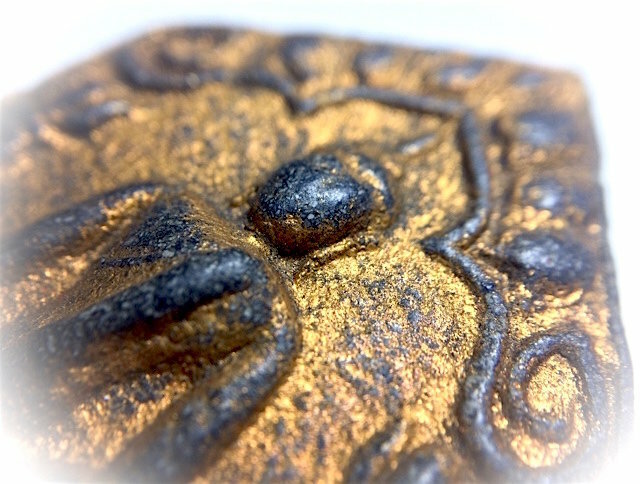 Notice the beautiful effect of the Sai Rae Tong Kam gold flakes on the surface, applied though painting the inner side of the block press mold with Nam Man Prajao Thaksin oil and gold flakes, and pressing the amulet into the mold with the oil and gold covering the inner surface of the mold. 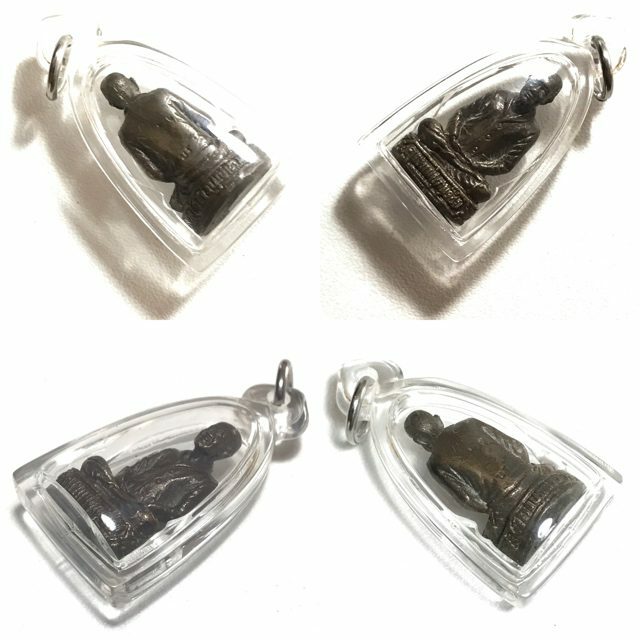 Please Note; Because of the two opposing factions of groups of collectos, between the Khun Phaen 15, and the Khun Phaen 17, we insist you make your decisions before buying, and conclusions, that you have faith in the amulet you are buying. 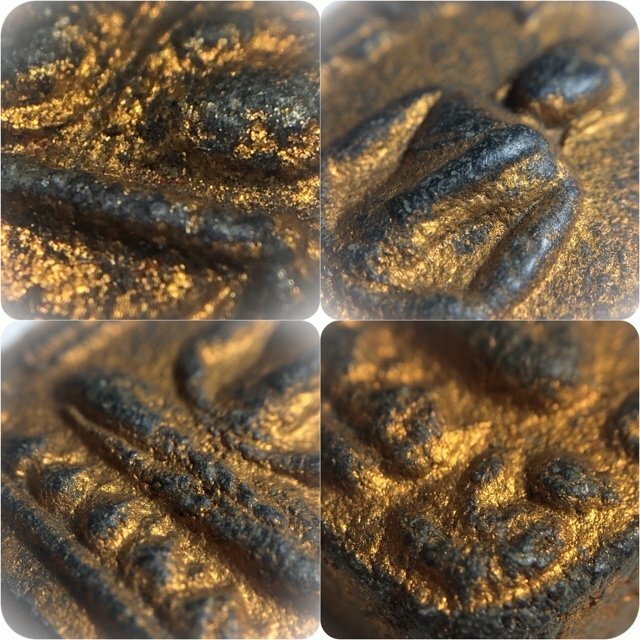 This page hgas more than enough written information and includes video podcasts which should inform you enough to decide which series of Khun Phaen LP Tim you wish to revere and collect. 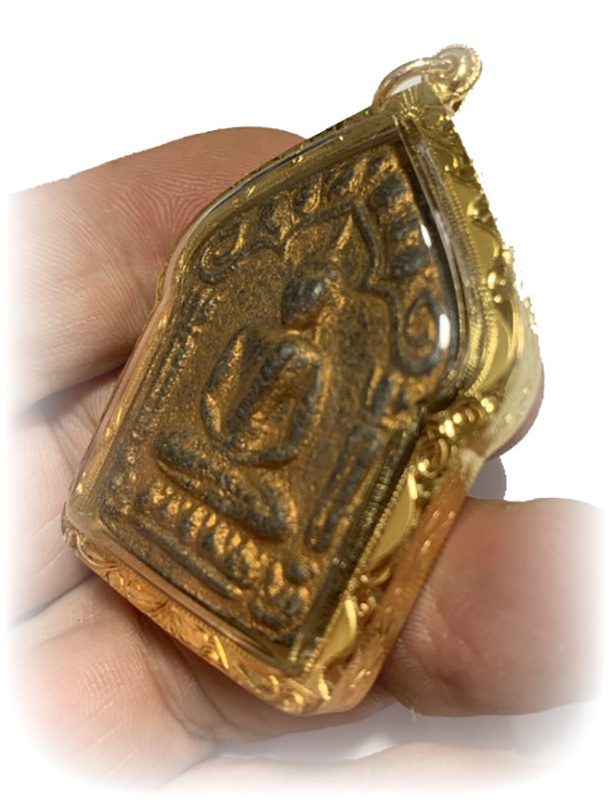 We only sell Khun Phaen 15 to those who are confident in their authenticity. 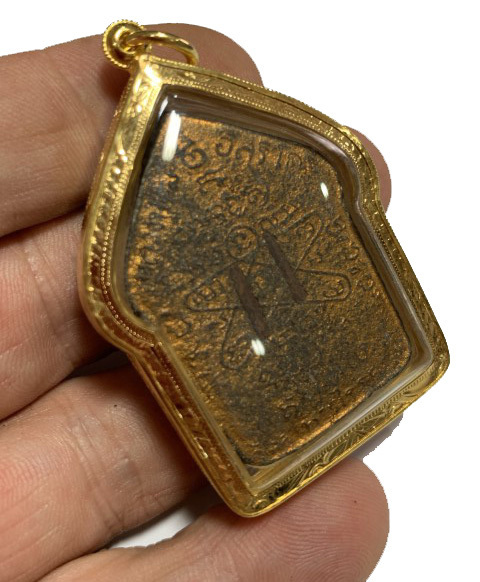 What this means in short is; "don't click and buy without studying and making sure of your decisions', and please do not be frivolous and buy first, and think later, then ask us to return the amulet. 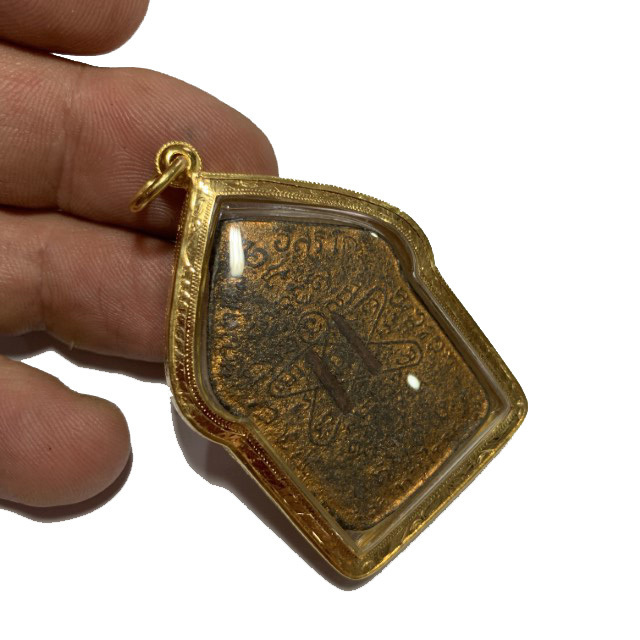 We do not approve of this way of collecting and wish to avoid selling any amulet to a customer who is not 100% sure of its authenticity! 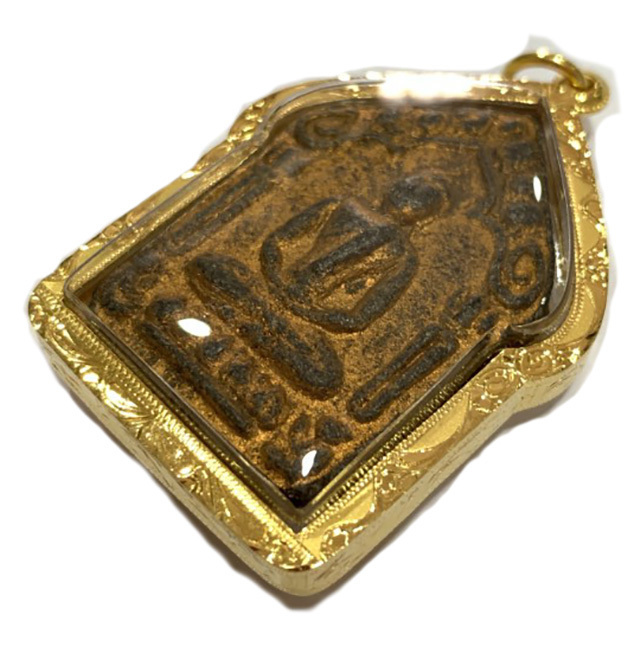 Especially with amulets that have certificates with them, and/or prize trophies, one should have less doubt. 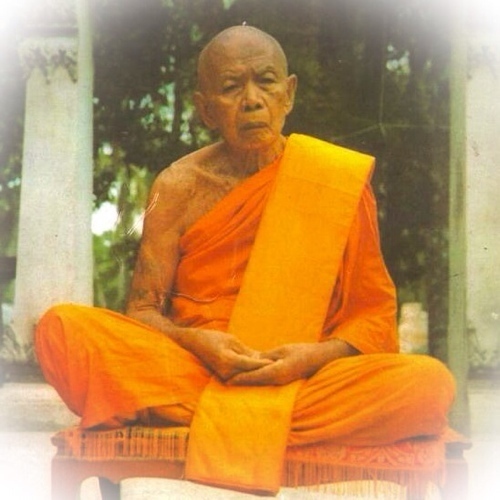 Please read and listen to the english language video podcasts, and the subtitled video from theAjarn Piarn Wit Khun Phaen 15 Revelatory Interview included in this page lower down, to make your conclusions about Khun Phaen 15 BEFORE you buy. 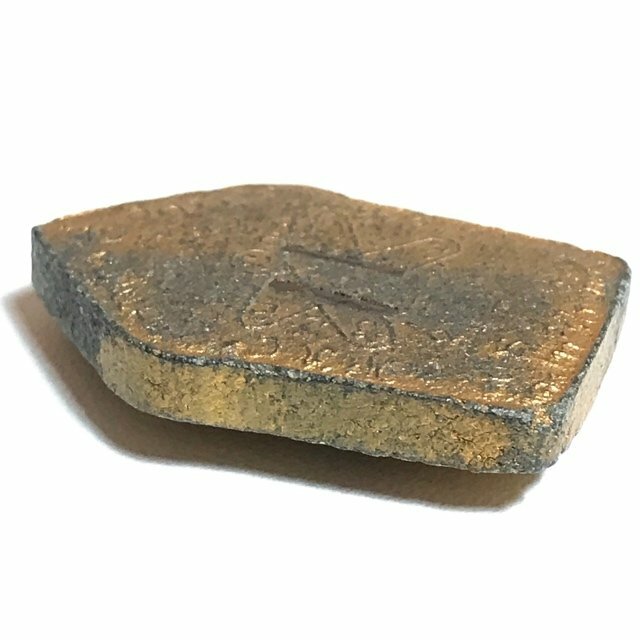 We do not wish to accept requests for returns based on not having studied before buying, so do your studies first please. 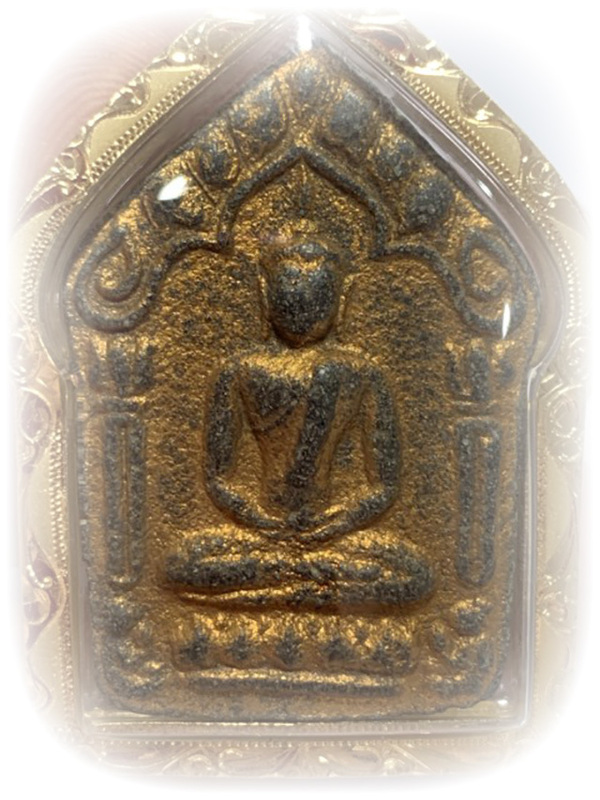 Complete faith inLuang Phu Tim's Khun Phaen is essential to the magical power. 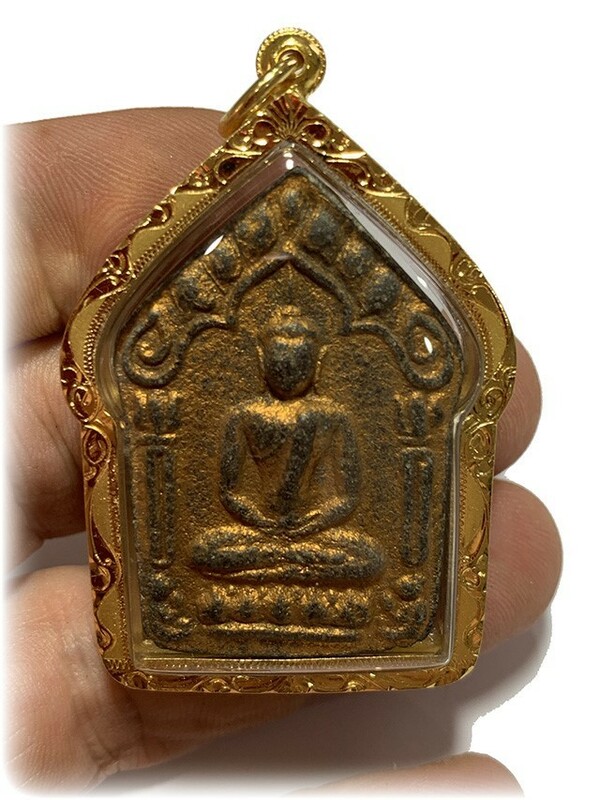 This exhibit has twin Takrut Sariga inserted into the rear face, from Luang Phu Tim, of Wat Laharn Rai. 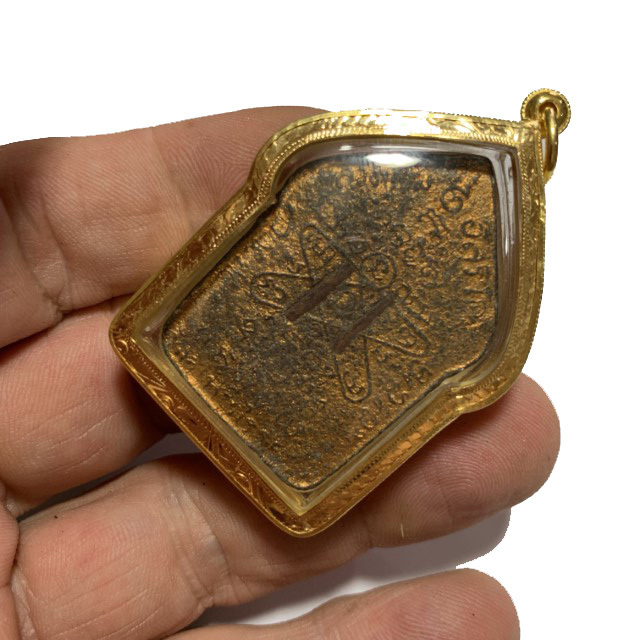 The amulet comes with solid gold (86% Pure) frame waterproof casing included. 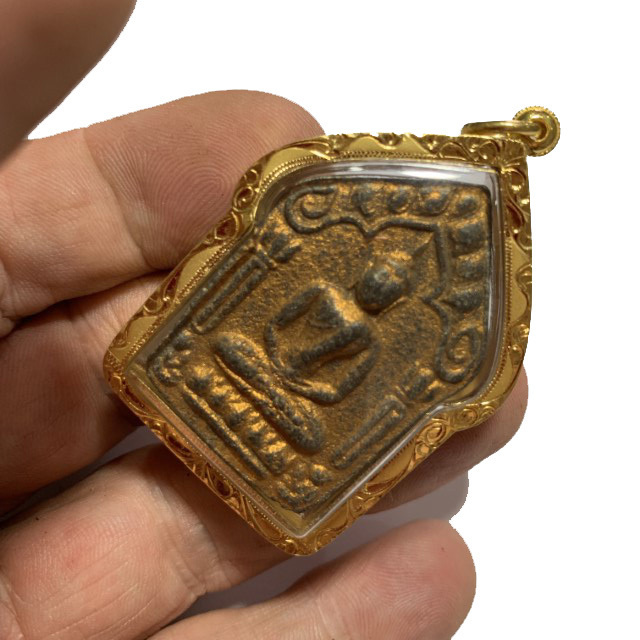 This exhibit is in excellent condition and well kept, with highly refined details and features, and most certainly worthy of show in the allocated competitions of its genre. 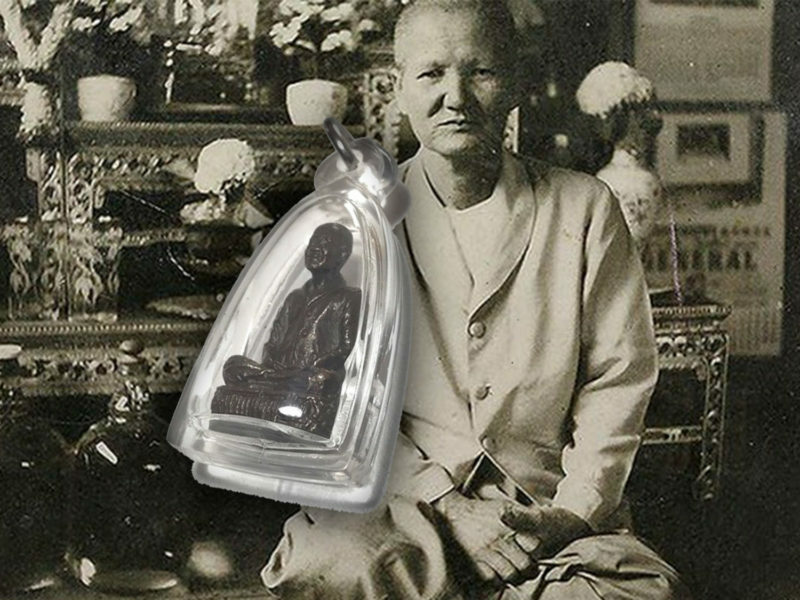 The Pra Khun Phaen Pi 15 Nuea Wan Dam black powders model is one pf the rarest models, along with blue, white and pink, and one of the more highly preferred Pim of the whole series, widely accepted for presentation in many official competitions. 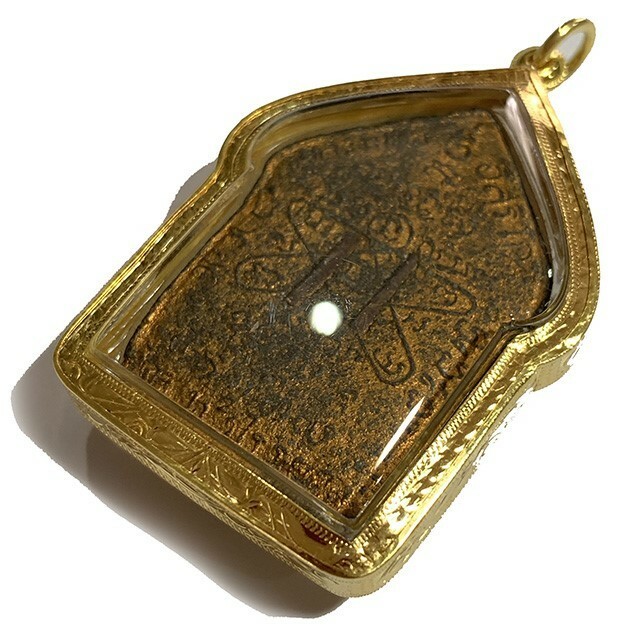 The rear face has a single large Takrut Maha Bpraab inserted into the Yant Grabork Khwai. 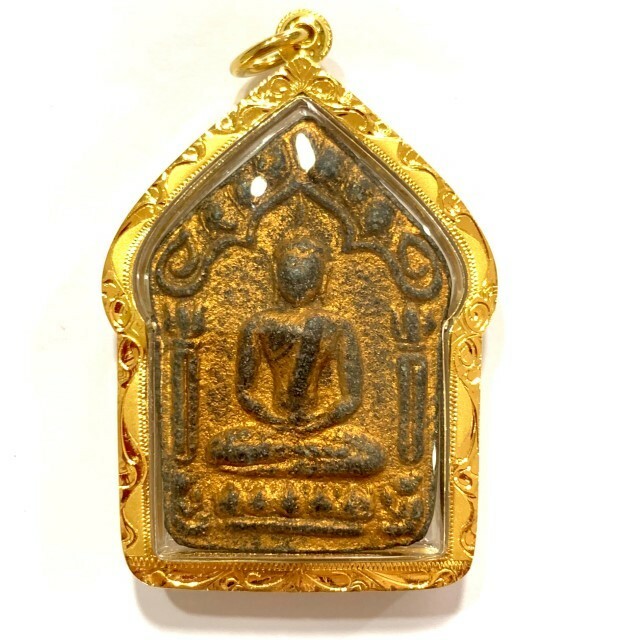 The reason this amulet became so world famous and popular, even in the time when Luang PhuTim was still alive, is because everybody who owned one, recounted that business and personal success and prosperity had increased constantly and steadily since wearing the amulet. 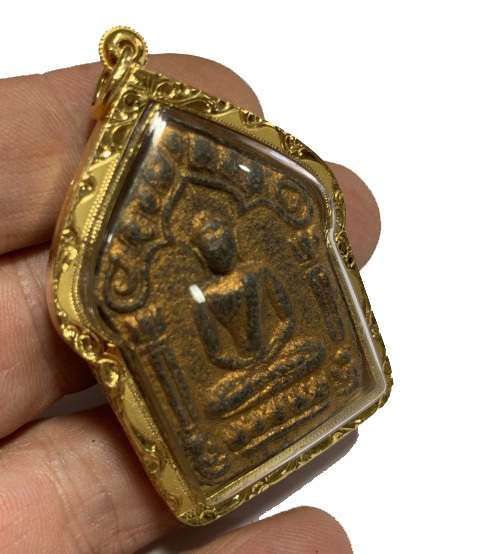 This particular exhibit has pristine features and is 'Ongk Kroo Doo Ngaay' - easily identifiable for its classic appearance, with no visual discrepancies, and the evident presence of authentic Pong Prai Kumarn Luang Phu Tim. 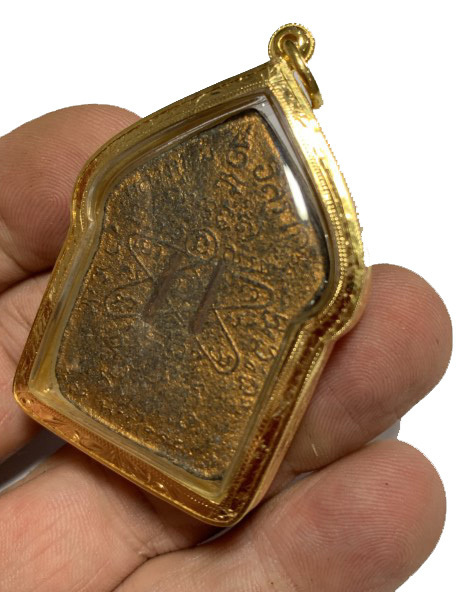 This and many other conclusive evidence has served to open up the truth and reveal this edition, which has been deliberately, or through oversight hidden by a few powerful monopolists for many decades. 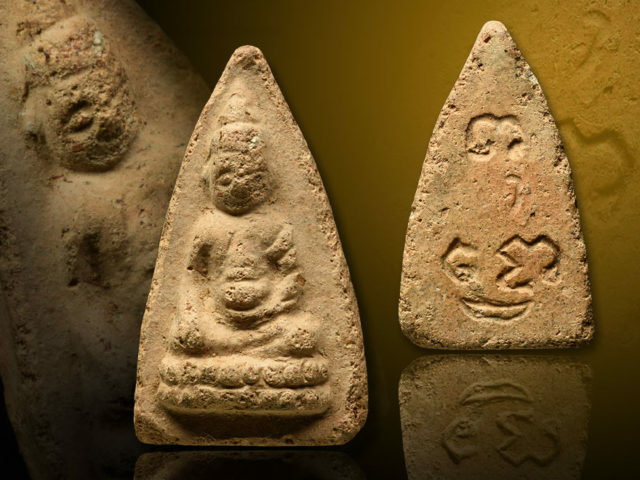 The edition has stayed with the local folk, and did not fall into the hands of the speculators, who have controlled the information available about all the many models which were actually made by Luang Phu Tim. 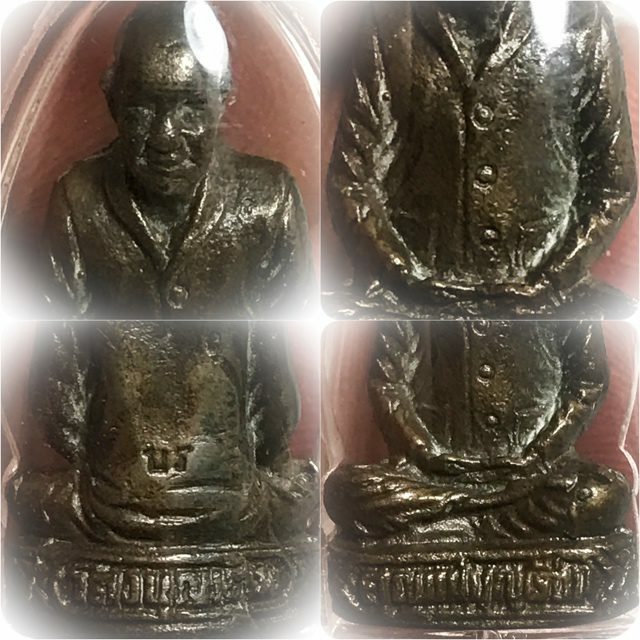 That era is now over, and the Khun Phaen Pi 15 has taken its rightful position amongst the ranks of Pra Niyom amulets of the Tamniab Official Pantheon of Luang Phu Tim. Above; Ajarn Pisek of the Glum Anuraks Pra Krueang Luang Phu Tim speaks (in Thai) on National TV to break the News and destroy the Myths about the Pra Khun Phaen Prai Kumarn of Luang Phu Tim (created by Monopolists who only managed to get the 2517 BE edition in their possession, and 1. were unaware of the truth, as well as jealously blocking any editions they did not control, out of greed and prejudice). 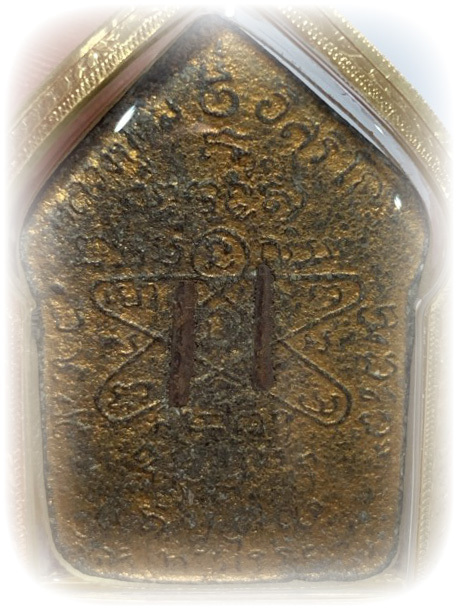 Luang Phu made other editions throughout the years between 2505 to his passing, with the 2515 BE edition now becoming the most preferred of all, overtaking the 2517 BE 'Block Raek' series. 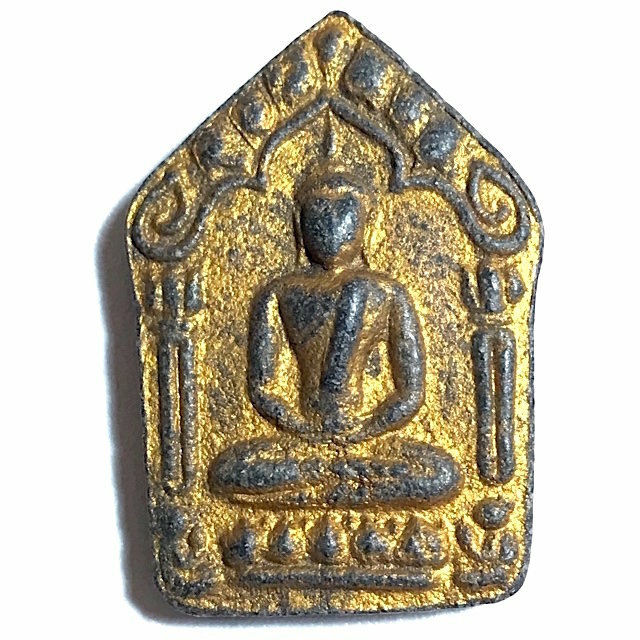 The Block Tong Hlueang was used to press Pra Khun Phaen Pong Prai Kumarn before the block press was given fine tuning, and then also again after having been filed down and carved to a more detailed and subtly styled detail, with the first pressings being known as 'Long Pim Block Tong Hlueang Gon Dtok Dtaeng'. 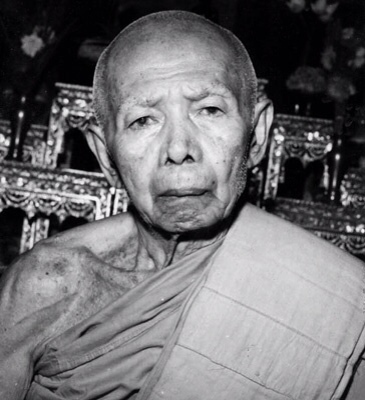 The more refined version was then given the name 'Block Tong Hlueang Hlang Dtok Dtaeng (Niyom)'. 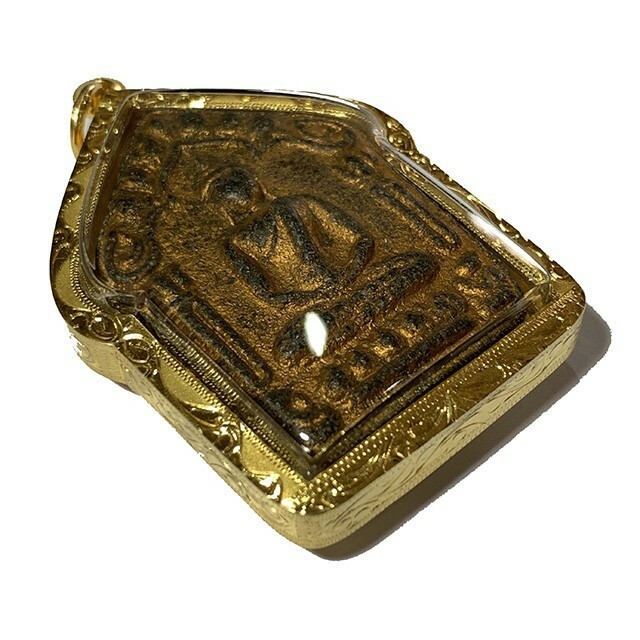 The Block Tong Hlueang press is also known by local devotees of the Era as 'Pim Sum Khad' or 'Pim Sao Khad', and also other names. 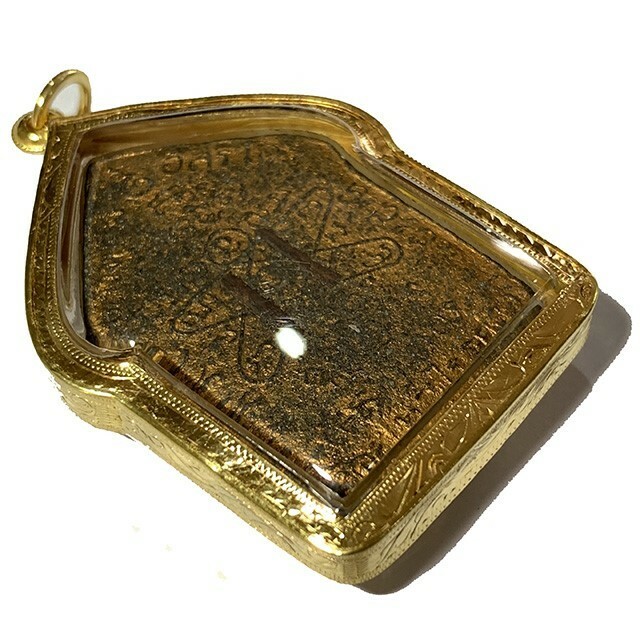 All of the different names refer to the very same Pim. 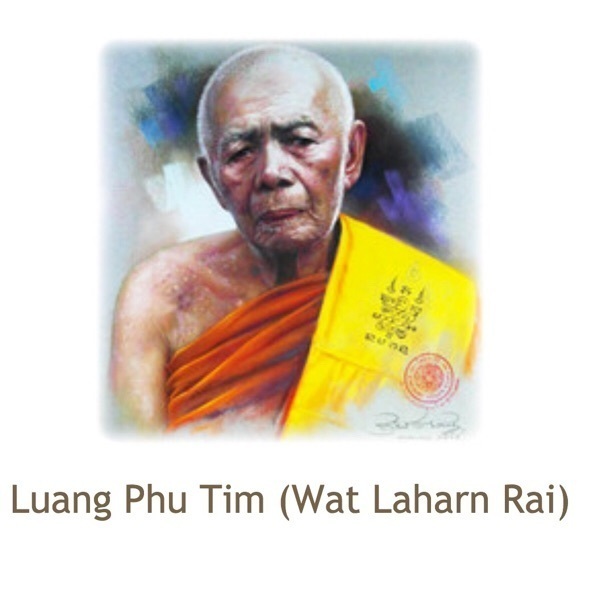 Below; Luang Phu Tum is seen with Ajarn Piarn Wit (left), thirtheenth direct initiate of Luang Phu Tim, during the time around 2514 BE when he was helping Luang Phu as a lay practitioner. 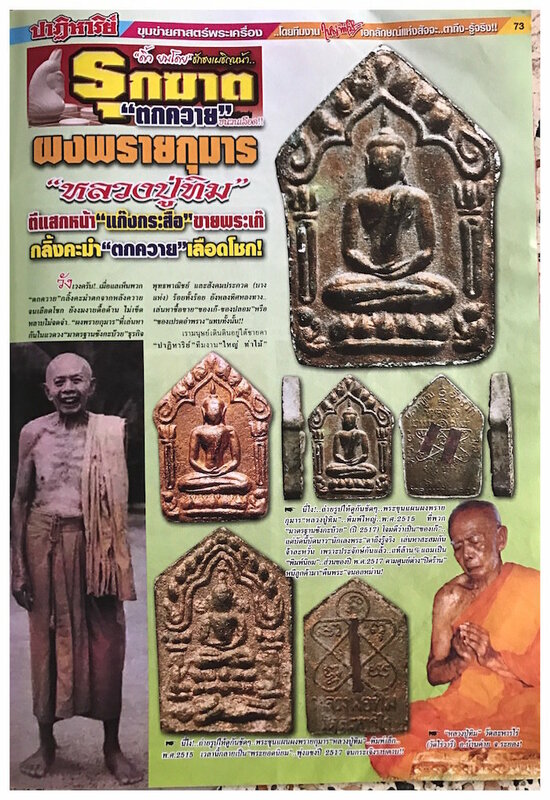 Ajarn Piarn Wit and various other direct devotees and initiates of Luang Phu have now come out into Public to reveal the facts, for documentation and confirmation. 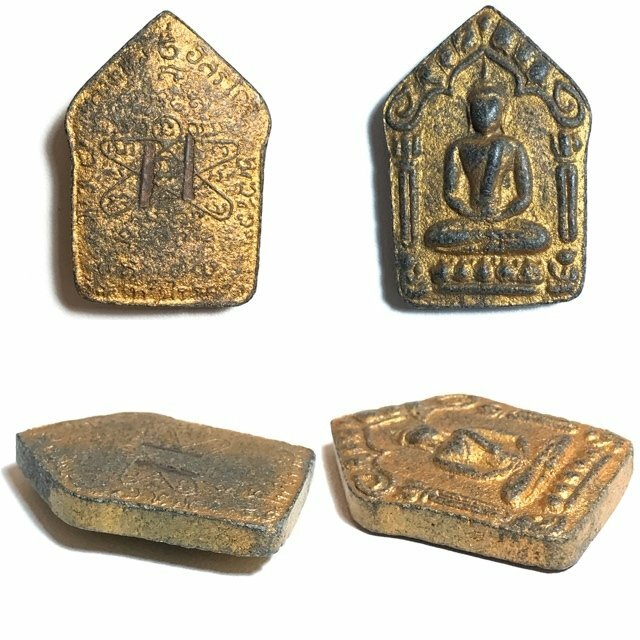 Below; some more examples of the Pra Khun Phaen Pong Prai Kumarn - these belonging to the Block Hin Meed Gone amulet, in a Samakom Pra amulet appreciation society encyclopedia. 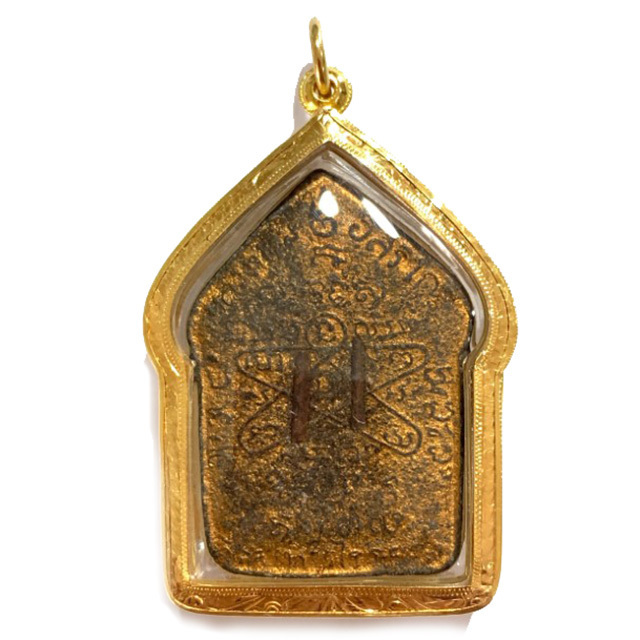 The block hin meed gone series preceded the block tong hlueang and was less refined, and was superceded by the block tong hlueang after the block hin meed gone broke. 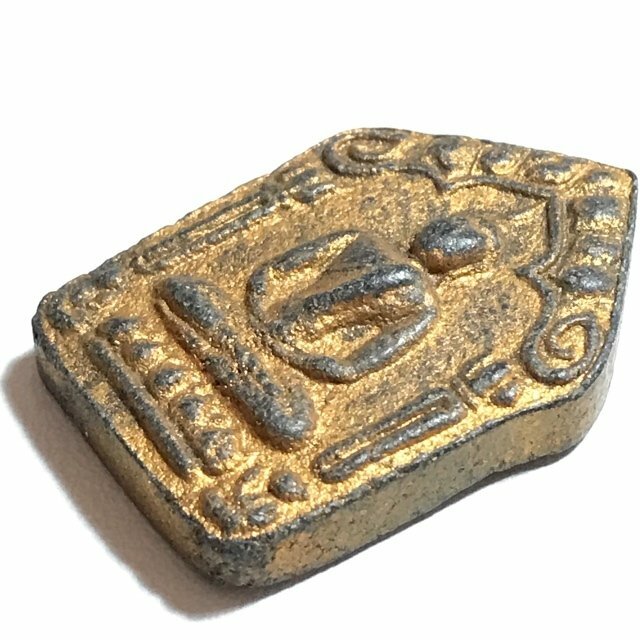 The block tong hlueang was then refined further, separating the two versions of the brass block mold into 'Gorn Dtok Dtaeng' (before refinement) and 'Hlang Dtok Dtaeng' (after further refinement - these are 'Pim Niyom' most preferred). 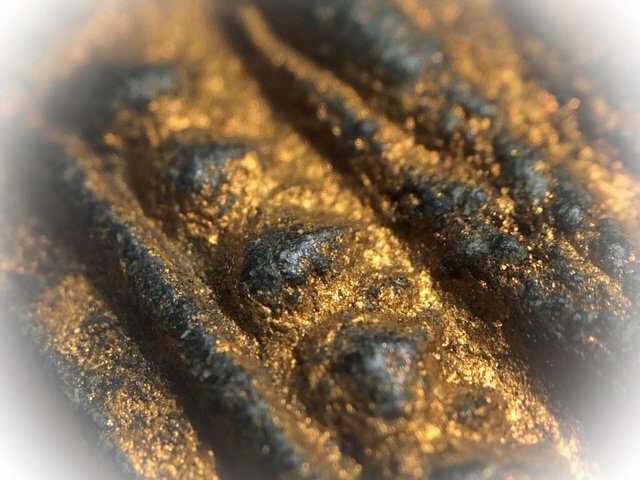 One can see a very fluffy and rich texture to the Sai Rae golden coating on the surface of the amulet, in reaction with the Muan Sarn Sacred Powders. 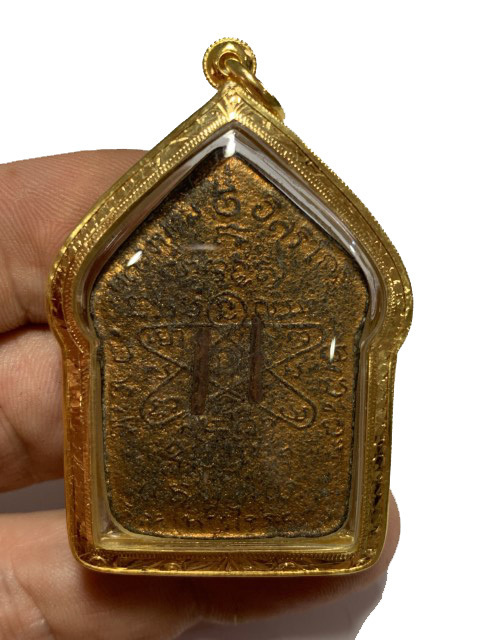 It is a part of the amulet appreciation society expert's method of authentication to examine and study the appearance of how the Sai Rae Tong develops in surface texture, tonality and porosity of the surface, as well as the appearance of Luang Phu Tim's famous Pong Prai Kumarn which rises up and through the surface. 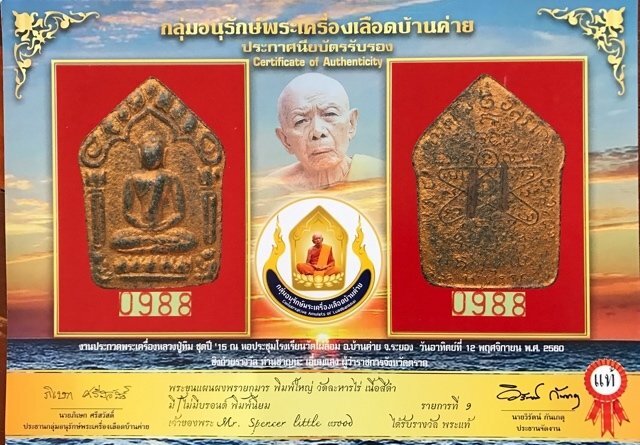 The amulet comes with solid gold waterproof casing, official A4 size plaisticized authenticity certificate and memorial box given with it after winning prize and certification in the first 2560 Competition at the Luead Ban Kaay Amulet Society in Rayong.